Payout request - is an operation for abstraction from route and payout. It allows dynamic routing and failover for payouts. Payout Request Event - event log for a specific request for payout. Gives detailed information about the process for requesting payout. Payout Request status — is a property, based on which it can be unambiguously stated at what stage the payout request is. 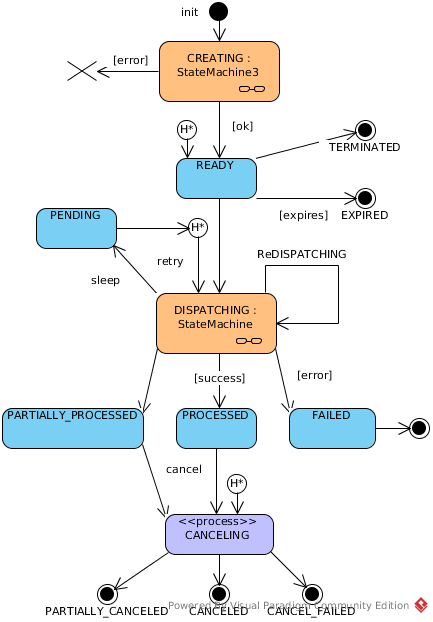 Same to Payout, Payout Request status has final property, which can be true (Yes) or false (No), and sleep - which explains if operation can wait in certain status to be modified manualy.